The Team that built the playground at Sambel Kunda. 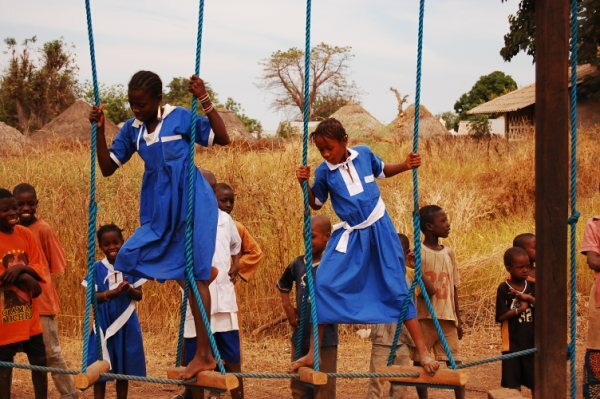 December 2009 - Construction of the playground is complete! Ros and Russell Harris and a team of volunteers on their latest trip to Sambel Kunda built an adventure playground for the children at the school.